September ended with a buzz less whimper as far as I’m concerned. 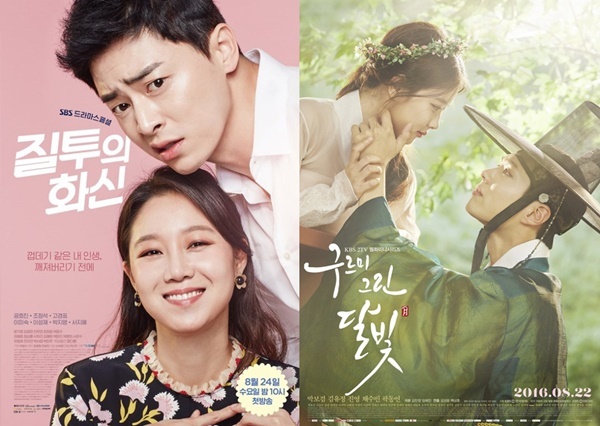 The summer K-dramas long over, the early fall series are all delivering their respective goods without anything upending expectations set from the premiere episodes to show me that there is something thrilling to look forward. 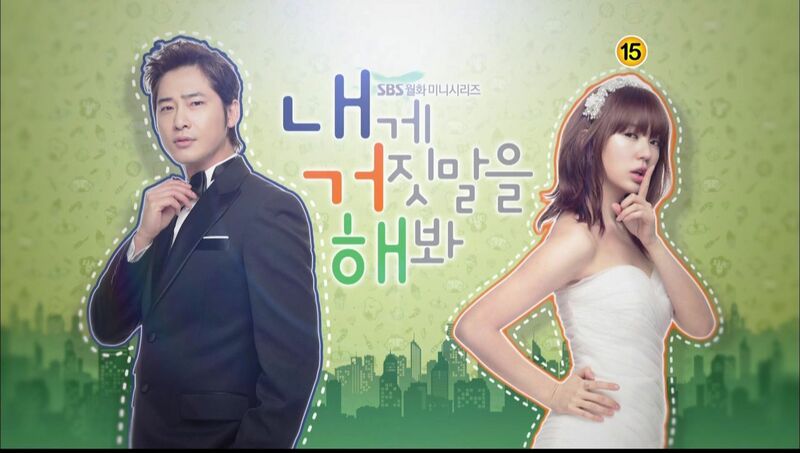 I like most of the currently airing K-dramas, but there’s nothing pressing to engage and therefore write about. 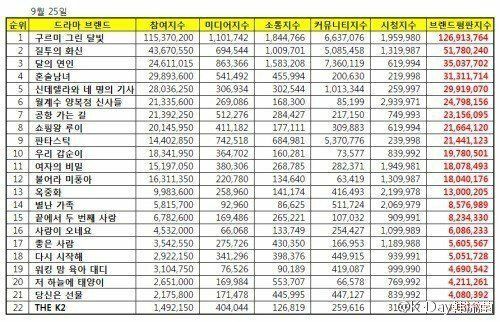 The ranking is out for the most influential and talked about K-dramas of September 2016, with ratings leader Moonlight Drawn by Clouds retaining it’s top ranking from last month. Next is Incarnation of Jealousy, then Moon Lovers, followed by Drinking Solo, and the top five is taken by Cinderella and Four Knights. The second half of the top ten is Laurel Tree Tailors, On the Way to the Airport, Shopping King Louie, Fantastic, and Our Gab Soon. Of the top ten it’s Moon Lovers that has me on my toes for narrative and emotional heft, while Shopping King Louie is sweetness to the max with leads I love and plenty of ah shucks appeal. Same here dear Ms.Koala. Idk what is there about Moon Lover Scarlet Heart but there is something intangible that makes the drama so addictive, keeping me asking for more and each week, dreading the weekend and hoping for Monday to come faster. Since you love the original C-version of BBJX, am still hoping you will share your perspective and takes on K-BBJX once the drama has completed its run. As at the moment, I am in this drama for a long haul and to the very end. I resumed watching Jealousy Incarnation and currently love it! Skipped the first 6 episodes but it really picked up from episode 7. I’m glad it’s on the list, just finished Cinderella as well and love all the main leads moments, park so dam and Jung il woo are so god dang cute! After reading the text-preview of episode 12, I’ve decided to give up on Moon Lovers. No, saying No to Lee Jun Ki’s marriage proposal and pining for Wook is unacceptable for me. Goodbye drama, it was sort of well while it lasted. Lee Jun Ki, see you in your next drama hopefully, it won’t be Sageuk and you’ll have better co-stars to match your steps. Yeah. I read a lot that are pissed over the lack of romance developmemt between our OTP. I have given up on the romance and more intrigued with the quest and battle of the throne. And Lee Jun Ki is so amazingly phenomenal here. Watching him doing his magic is a worthy enough reason to watch and despite all the flaws which totally being blown way out of proportion, this drama is seriously keeping me glued and qualitatively good. I’m watching alot of dramas right now and drinking solo is surprisingly my favorite. Next would be Scarlet Heart. The flas are obvious and don’t need to be mentioned again but despite all that it manages to be quite riveting and addicting like OMG said. Moonlight on the other hand does everything perfectly but it’s just cute fluff I watch when I’m in the mood. I totally get why it is so popular in SK and I’m happy a quality production is being well rewarded because everyone involved deserves it and also it encourages networks to make better content. Anyway it’s a matter of taste and everyone should freely enjoy what they like. I’m just so damn happy that there are worthwhile dramas to watch these days. Kdrama landscape was pretty bleak for a good while there. Miss Koala, it would be really awesome if we could read your in depth thoughts on all the Kdramas you are currently watching from time to time. It would be fun for discussion and you could do it as you feel fit! Same goes for me about Moonlight. It gives me the same feeling when i was watching DOTS and Doctors. SK seems to need dramas with a positive vibe. I understand . It’s good that Kdramaland have such a large choice these days . I prefer the Chinese version of Scarlet Heart. While I think LSJ is doing a great job and in my opinion carrying Moon Lovers and the emotional heft of the show. In Moon Lovers,I have a problem with how the scriptwriter is basically manipulating the viewers into rooting for the 4th Prince at all cost ( hateful mother, scarred face,etc). 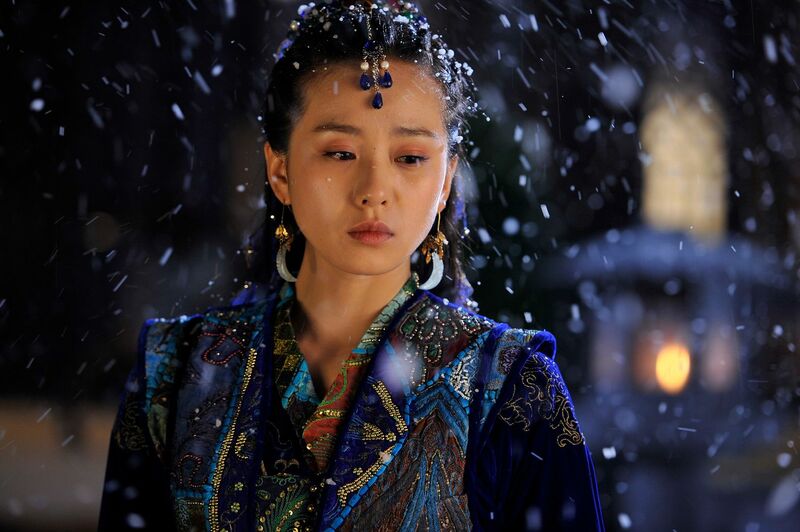 The writer is telling us which characters the viewer is supposed to hate or love by writing them in stereotypical archetype way, while in the C-version of Scarlet Heart I think they were written to have depth and given layers so we could make that decision for ourselves and to also gain insight into what makes them tick. Which moon lover?I thought scarlet heart is moon river,and moonlight drawn by clouds is moonlight lover?honestly moon lover,moonlight lover,jealousy incarnate have the same theme,but yeah jealousy incarnate is steal my heart. So funny until I can’t describe my feeling when I saw hwa shin character. jo jung suk-nim,you nailed that. Yes, I feel like an evil person who’s laughing when Hwa shin was clearly devastated. I can’t help it. It does feel like a dark comedy at times but when it tugs at your heart string, damn. Can someone explain what each column means? I am watching Moonlight, Cinderella, Jealousy Incarnate,Woman with suitcase and Fantastic. Loved them all and have enjoyed watching each and every episode of the dramas. In love with Moon Lovers and Jealousy incarnate. Last night i was rewatching MBC drama awards 2007 and they were all there : Lee jun ki, Gong hyo jin , Yoon eun hye, Gong yoo, Han ji min, Jang hyuk and many more. Time sure flies… They all have a special meaning for me despite talented newcomers since then. They are the best ! Agree with you. Despite there are so many talented new faces, I consider this batch of actors/ actresses that are really appealing. This set actors totally sold me with the roles that they portrayed, making their performance truly memorable whereas I see the new crop of actors tend to channel themselves in the roles that they played. I guess that is why I have yet to favour one among the the new breeds until now. I don’t really know how these things work. If I didn’t know the ratings of Scarlet Heart in Korea, I would have thought the drama was as highly rated as Doctors or Dots just looking at how much talk there is on streaming sites, blogs and forums. It’s an impression I get, am I wrong? I didn’t check out the same for MDBC so I have no real comparison. It also leads me to wonder if Lee Jun Ki has more fans outside Korea than in Korea? Since >90% of the comments are about how fantastic he is, I am assuming he is both the reason why it’s huge outside Korea and why it’s not big in Korea. Both MDBC and SH are geared to appeal to the younger crowd and are fluffy fusion saeguks rather than heavyweights. Difference is MDBC knew what they are whereas SH was trying to be everything when it actually is an idol drama despite the source material. Scarlet is still darker comparatively with MDBC and the plot is not typical of a K-drama where OTP are pre-destined right from the start. And let’s just agree that Scarlet is marketed and geared more towards international audiences and LJK is there to bring China onto the table and so far, the strategy works. 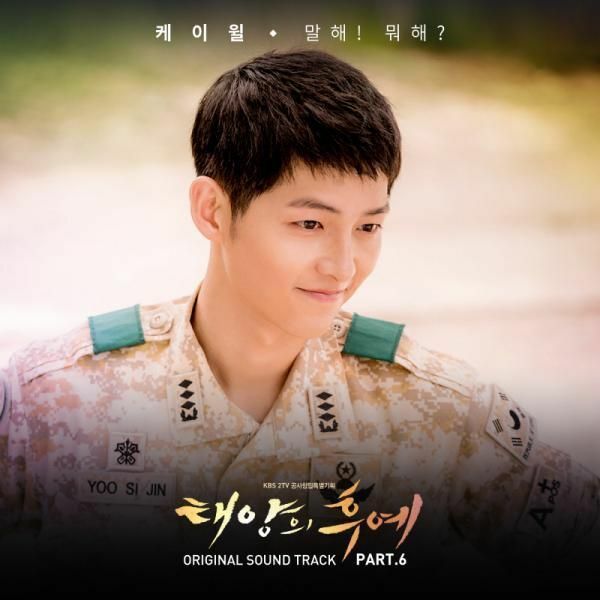 But not all formula can have a win-win situation like DOTS, what they lose in Korea, they gained it three folds internationally. 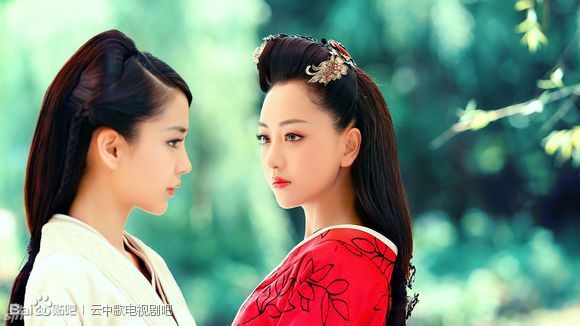 I could not agree that the drama is so bad as most painted it to be, as that would sound like international audiences are shallow who could not look beyond the prettiness. There must be something so very right about the drama that hit all the right buttons with them. Quality is also subjective, what striked the Koreans not necessarily is of high quality. Doctors vs BM for example. As for LJK, he is well known in Korea but with new crop of actors, he is not getting much attention as he used to be. But he is definitely still very popular among international fans and with Scarlet doing so well abroad, he is in fact getting more popular. as for darker story, Moon Lovers probably but age wise, MDBC is youth story when none of the option is a happy ending and they have to sacrifice their life in the process. The OTP can’t be together easily, they are binded by history and lot of faction. It is darker no matter how you dissect it. And I only draw comparison with MDBC in term of their genre. I wish not to discuss Moon Lovers and bringing up MDBC because no matter what, we can’t agree on the same thing. I can’t view MDBC to be so right in all places the way you did and the same with your opinion towards Moon Lovers. I am just voicing my opinion on what makes Scarlet appealing to international but not the domestic audiences. As I said, to brand the drama as stupid or poor is something I can’t agree with which to me is like generalizing the great number of audiences who love it as shallow, which is deragatory. Moon Lovers may not be perfect or top notch quality, but at the end of the day, a good story/drama is something that can hit all the right notes and convey the story. Many are sold, so it’s a testament that drama does delivered in its very own way. Is pre-destined OTP a feature of Kdrama only? It’s arguable at best but not having a pre-destined OTP doesn’t mean the show is not your typical kdrama. Recently, I see a similar argument about Doctors. Somehow, not having a love triangle elevates a drama or make it atypical. None makes sense to me. Scarlet Heart is a very typical K-drama. Just switch the period to modern and it looks pretty much like your usual chaebol story where pretty rich boys vie for the love of a candy girl and have everything in the world except love. I’d say it is not very far from Cinderella and 4 Knights. It’s just that SH amps up all whatever they can – bloody fights, body count and poison and by virtue of these, prides itself for having depth and being dark. I am going to give it a benefit of doubt and see how well they can present the political struggle and show some real depth instead of theatrics and grandiose. About the show being well received overseas, it doesn’t matter why the viewers like it. If SH is highly rated then it simply is. Just like how MDBC is received in Korea. it’s hard to root for anybody, how can they think the can be kings without having thought about nation? I think the misconception that people who love Moonlovers: Scarlet Heart Ryeo like exaggerating is that Moonlight is all hearts and balloons and butterflies as it is a youth drama. No, not exactly the case for them. It did target youth and it did build up the initial episodes by primarily selling a light, easy romance but they seamlessly incorporated palace politics since their third week on air. Its not groundbreaking, its just a fresh take on the cross-dressing drama that has elements of a serious Sageuk and power struggle within it. It doesn’t have people or horses or concubines dying or being poisoned but it isn’t all pink and blue and roses and romance either. It also helps that the actors are in sync with each other, focus doesn’t shift to unnecessary plot points or actors for long and they have a coherent story in mind. As a package, it is a well done drama, that is the reason it works. I am glad for the team, they did their job right and are being rewarded for it. YES! I agree to everything you said. I came in watching MDBC with low expectations since I also thought it was just another fluffly show but was pleasantly surprised how this show is turning out to be. The plot is nothing new but it knows how to weave together plot devices introduced in the earlier episodes into the main storyline. It’s very cohesive and well directed. The way the camera pans into the characters’ faces showing the raw emotion of the scene is really lovely. I love our characters the most because they choose to act with courage and love in spite of the all the uncertainty. It’s great seeing how the OTP grow together. It helps that Park Go Gum and Kim Yoo Jung have great acting chops to bring out the best of their characters. It’s weird how Moon Lovers/Scarlet Heart is so flawed but addicting. If they had only edited better and not had such stupid OSTs the Korean audience might not have been so put off. But Lee Jun Ki is amazing, I love his intense and wounded take on 4th Prince. I’m sticking with Moon Lovers. The passion among the lovers is a love & hate…scarlet heart…dangerous, risky love. Prince 8 chooses safety for his family & power ranking to stay alive. Prince 4 has guts to protect the woman he loves…witty & brave to save the people he cares for. I’m still watching Moonlight but my interest is waning. I am an occasional korean drama watcher, but I simply fell in love with Moon Lovers. I can’t wait to see how the story develops and I am impressed by how the characters react. There is just something about Moon Lovers that is just so captivating. I don’t get why those who enjoy the other Moon drama needs to endlessly stating of why they can’t enjoy Moon Lovers and raving over their preference. It’s like a broken record and really annoying. Just enjoy your prefered drama as how you like it. Actually I try to watch moonlover but it not up my expectation.ljk is one of sageuk actor that I like.his passion n acting skill is impressive. 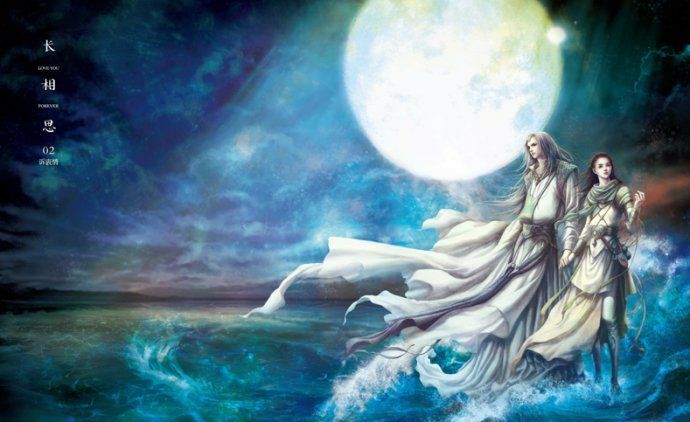 As the moonlight I expect it will not be that popular compare to moon lovers as moon lovers had a good storyline on paper. but sageuk drama really need acting skill that good to attract the netizen.it proven by the cast of moonlight that is well casted from supporting to main lead. Btw I the only one that like drama on the way to the airport??? This drama bring a calm feeling and suggested this drama. Idk why. Since my Kpop bias’ comeback, I’ve sorta pushed SH on the back burner. At the same time, I’m still following Moonlight and picked up new dramas like the K2. I don’t really want to hurt my head to analyze why since I’ve always liked LJK since his Iijima era. But somehow it doesn’t feel a lit to watch this BBJK remake even K version deviates quite a bit from C version. I guess somehow the romance between the supposed (or pre destined) OTP was’t well laid out and isn’t appealing to me. Therefore it may weaken my drive to keep up with the plot development although I’m curious about how the drama is gonna twist the history about the court politics. I should marathon SH later when my mood is ready. I’m watching “Drinking Solo” (perfect comedy), “On the Way to the Airport” (it’s so beautifully filmed – the director is the one from the drama Hwang Jin Yi – and the background music is great) and “Fantastic” (it was much better in the first few episodes, but it’s not necessarily bad now; anyway I’ll stick to it to the end). 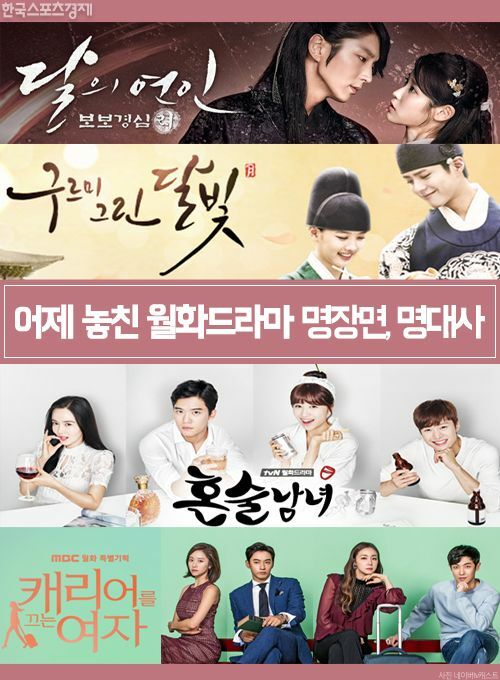 I dropped all the other dramas: “Moonlight” for becoming boring (the leads are good actors, beautiful, cute and all but there is no interesting line there; making them continuously stare at each other for half an episode and then walking nonstop in the other half is a bit too much), Moon Lovers (too many boys there with no personality), “The Woman with a Suitcase” (confusing plot – really, it’s not enough to have some imagination, but as a writer one has to know how to present his/her ideas) and The K2 (I decided to drop it after the 4th episode: action is not a favourite genre of mine; the only interesting character there was that of Song Yoon Ah – I said “was” because, unfortunately, I also lost interest in her character in the last episode; the music is great but it appears much too often losing therefore its dramatic effect). Well, three dramas to watch is not bad at all. Oh, I forgot about Incarnation of Jealousy: I dropped it after the first two episodes (it was quite a disappointment: I expected it to be a witty comedy, and instead it was a foolish one). Its getting better after that, just give it a try 🙂 Sometimes most of good dramas is mediocre in the pilot, for example ‘Missaeng’, Another Miss Oh and Its ok thats love. I am glad that I dont drop Jealousy Incarnate, and glad I dont drop them too, it just funny and hilarious drama. That’s a shame, I’m loving Jealousy Incarnate the most out of the top three. I started MDBC and Cinderella but while I was interested in both at first, they got too predictable. They’re kdramas I’ve seen before. Moon Lovers is my only addiction these days. I disagree that if placed in a modern setting it’d be a typical chaebol/candy scenario and that it is a setup with a perfect girl and predestined love. It’s not. The characters are all flawed beings but with different motivations and goals in mind. You can hate characters, you can love them but no one character is entirely perfect or pitched at being infallible. If it didn’t have so many pretty actors or popular idols, I don’t think it would have the huge prejudice so many seem to have against it. Or maybe I’m just biased or a stupid shallow fangirl, in which case, whatever, I like what I like and it’s Moon Lovers. To each, their own. Cheers.